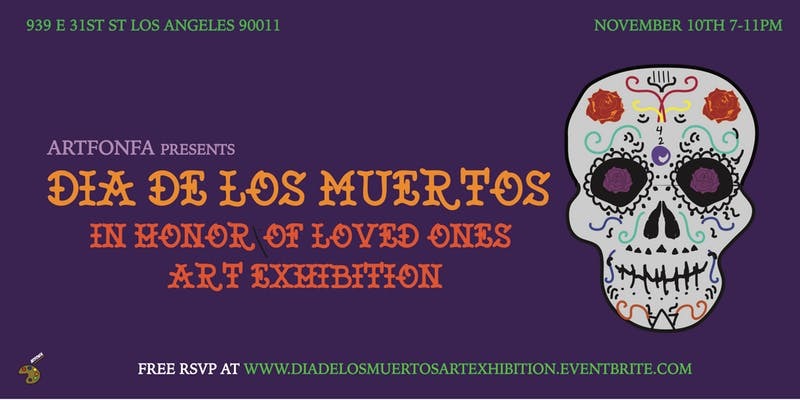 Enjoy an art exhibition centered around Día De Los Muertos offering a series of different mediums to explore and enjoy. Throughout the event, attendees can enjoy live body and skull painting, work from visual arts, tarot card readings and more. Live music will also be present, as well as traditional Mexican performances from Grupo Folklorico Revolucion. The showing will include vendors like Sewed by Soraya, Rotten Glam, Brighter You and more. This event is free to attend with an RSVP until Nov. 10, the date of the exhibition, when it becomes $20. Hours run from 7 – 11 p.m. and the address will be revealed to those who have RSVP’d close to the date, though it will be held in DTLA. For more information, you can visit the link below.